ACT Engineers performed the Civil Survey for the building of a 114 mile pipeline that starts in Luzerne County, PA and ends just South of Pennington, NJ. The Preliminary survey included locating all existing features within 200’ of either side of the proposed alignment and proposed access roads in the rural counties of Carbon, Northampton & Bucks County PA and Hunterdon County, NJ. ACT verified all ROW lines that the alignment crosses or runs parallel with. 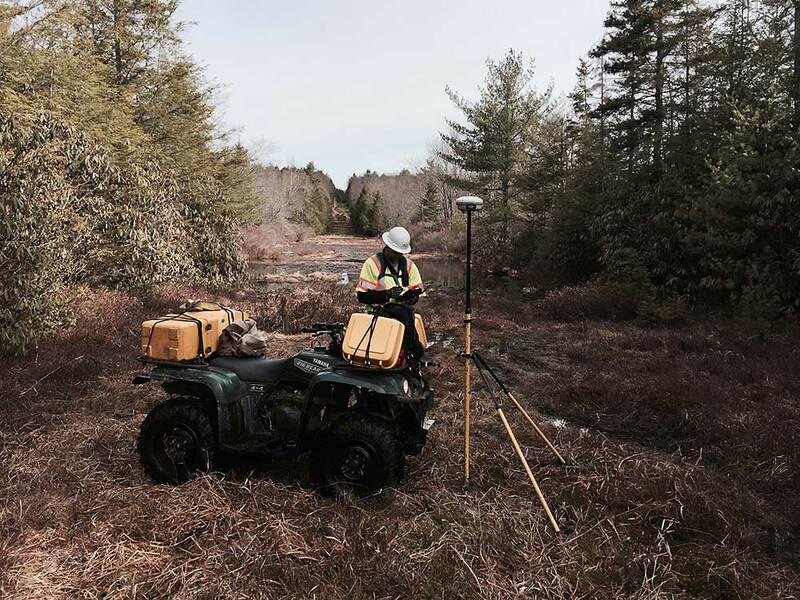 A Topographic survey was performed on all road, watercourse and railroad crossings, and at tie in points with compressor stations, laterals & Interconnections. Geodetic control was established utilizing Static and RTK GPS. Data was collected utilizing RTK GPS and conventional survey methods and mapped in AutoCAD Civil 3D for delivery to the client in a CAD format.